The FortiAP-210B is a durable, business-grade 802.11n solution that provides you with up to 300 Mbps of total throughput for demanding use cases. It uses a single radio dual-band (2.4 GHz and 5 GHz) with 2x2 MIMO technology. The FortiAP-210B is an enterprise-grade AP that not only provides speedy client access but also offers intelligent application detection and traffic shaping capabilities. Two (2) internal antennas support IEEE 802.11a, b, g and n wireless standards. The access point is capable of continuous air monitoring for rogue AP detection or delivering high throughput traffic to Wi-Fi clients. Unlike traditional airtime fairness algorithms that are not Business application aware, the FortiOS engine can perform deep L7 packet inspection to accelerate business applications, slow down non-priority traffic, and remove malware. When used as a dedicated AP with background scan or as a dedicated air monitor, the FortiAP-222B will help you meet PCI compliance requirements. Enterprises are looking to increase productivity through uninterrupted access to applications and resources, without compromising security and agility. You want to increase visibility and control of your wireless network traffic by enforcing the same policies as your wired network and eliminate potential blind spots. You also need a solution that helps you meet compliance by proactively blocking unauthorized access all while providing tools for business continuity by following industry best practices. Fortinet's FortiAP wireless thin access points deliver secure, identity-driven WiFi client access that creates a fortified WLAN network. Centrally managed by a FortiGate® or FortiWiFi™ platform with its integrated Wireless Controller, FortiAPs allow you to deploy a comprehensive, integrated security solution for your wireless and wired networks. By acting as a Wireless Controller, FortiGate or FortiWiFi security platforms enable you to deploy the comprehensive protection of the industry leader in enterprise unified threat management (UTM) in overlay architecture, thus leveraging your current investment. FortiAP wireless access points are IEEE 802.11a/b/g/n standards-based, and operate on both 2.4 GHz b/g/n and 5 GHz a/n spectrums. They utilize industry leading wireless chip technology that takes advantage of 2x2 MIMO (multiple input multiple output) with dual transmit streams. 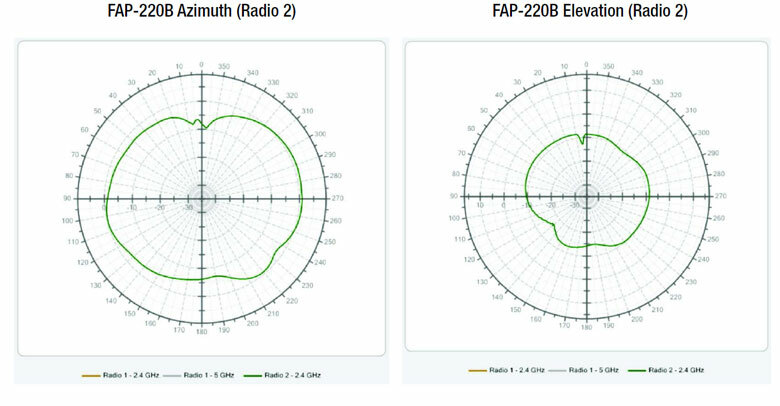 This MIMO technology allows the FortiAP to reach wireless association rates as high as 300Mbps per radio and enables the coverage to extend twice as far as legacy 802.11a/b/g. Each FortiAP can support up to eight SSIDs per radio--seven for client access and one for scanning for rogue access points. 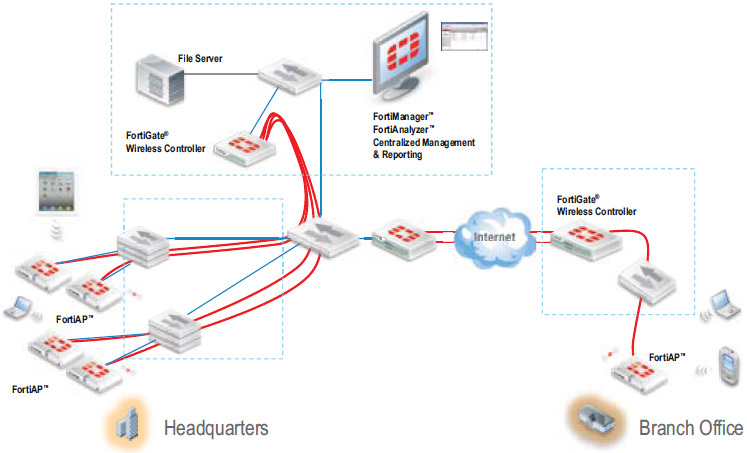 They also use multiple discovery techniques to find available FortiGate controllers over L2 or L3 networks. Robust rogue AP control Industry's most comprehensive monitoring, detection and suppression of rogue APs for PCI DSS compliance. All power values are in dBm. Power Adaptor Adaptor Input 100-240V 50/60Hz 0.6A Output: 12V DC 1.5A –center positive POE injector supplied with AC power source. Target Application Dedicated AP w/background scan or dedicated air monitor Simultaneous AP and dedicated air monitor Warehouses, outdoor areas, industrial settings, and other harsh environments. 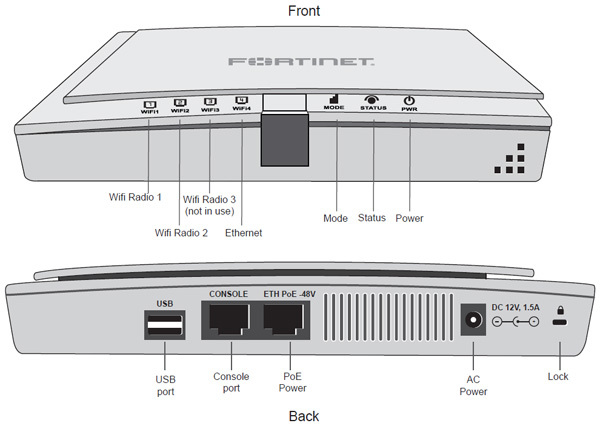 Download the Fortinet FortiAP-200 Series Data Sheet (PDF). Ceiling Tile Rail Mount Kit for 15/16" and 9/16" drop ceiling rails with cable conceal cover. For use with FAP-220A, FAP-220B, FAP-210B. Ceiling Tile Rail Mount Kit for 15/16" and 9/16" drop ceiling rails with cable conceal cover. For use with FAP-220A, FAP-220B, FAP-210B (Box of 10).